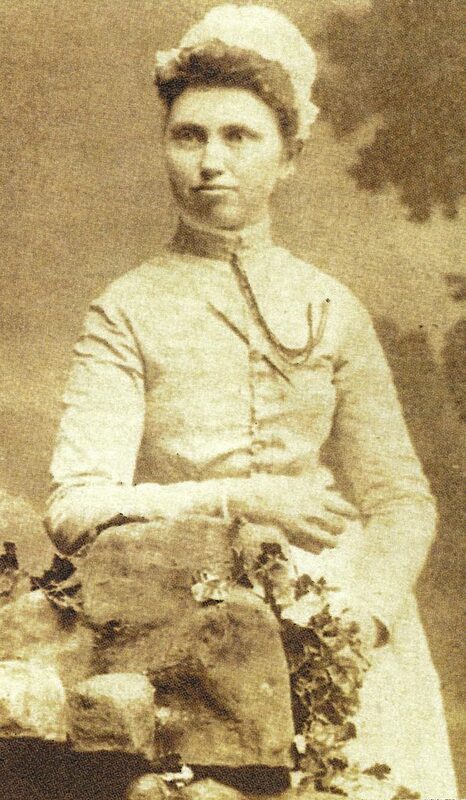 Josephine Shatzer, first paid nurse, image courtesy of Visiting Nurse Archives. With a staff of over 155 and over 170 volunteers, today’s Fort Wayne Visiting Nurse is a far cry from its humble beginnings. In 1888, a group of Fort Wayne women organized the Ladies Relief Union with a mission to “help the sick poor of Ft Wayne.” Calling themselves the Visiting Nurse Committee, they soon discovered a link between poverty and disease. Dr. Jessie Calvin, a Fort Wayne sanitation and indoor plumbing pioneer, encouraged women’s church groups to raise money for a qualified nurse that could meet community needs. 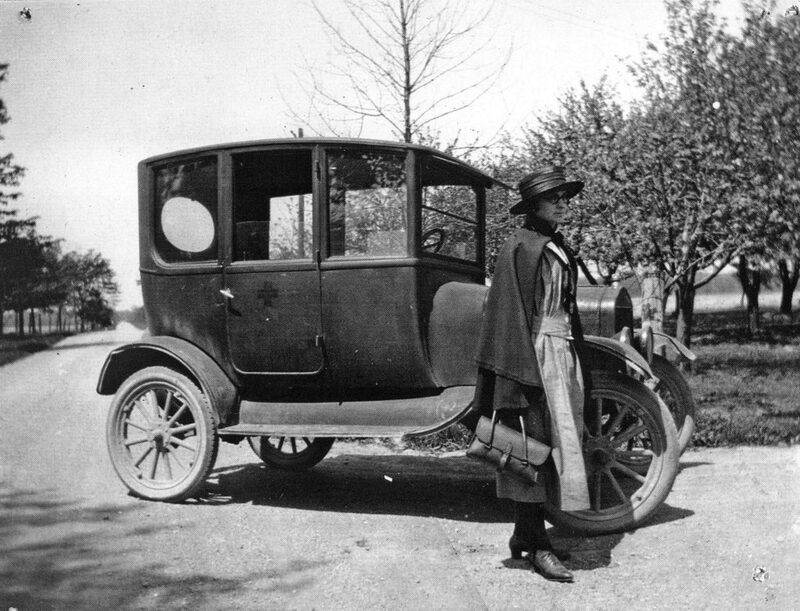 Nurse with a Ford Model T purchased in the 1920s, so that nurses could more efficiently reach patients, image courtesy of Visiting Nurse Archives. The daily or visiting nurse is a recent development of modern nursing and meets the needs of many people who find it inconvenient to have a nurse stopping in the house and requiring more or less attention from servants perhaps already overtaxed. The visiting nurse comes in for an hour or so every day to perform those services for which her skill is needed. On March 1, 1900, an organizational meeting was held in Fort Wayne and the Visiting Nurse League became a reality. At a salary of $10.00 a week, Josephine Shatzer was hired as the League’s first nurse. During harsh weather she took a trolley, but normally she could be seen making her rounds on her bicycle. Regardless of transportation, it was clear that she wasted no time. On her first day she saw six patients. Next she established a baby milk station at First Presbyterian Church, instructing new moms how to prepare formula. Fort Wayne Daily News, September 29, 1900, 5, accessed Newspapers.com. She also volunteered at free immunization clinics, bathed patients, delivered meals, changed bedding, dressed wounds, cared for the elderly and ill in their homes and endeared herself to all she served. At the end of her first year she had made hundreds of calls, utilizing supplies donated by local churches, relief societies, and drug stores. For those patients who could pay, the charge of a one-hour visit was fifteen cents. 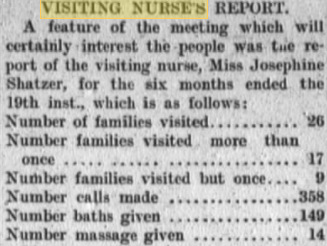 The Fort Wayne Daily News praised the program in 1900, noting that the league “found favor with all classes of people” and that visits to the “sick poor” conveyed not only “help and benefit, but hope and good cheer to every member of the family.” In 1913, the Public Health Nursing Association appointed a visiting nurse to serve African American patients at the Flanner Guild. Dr. Calvin continued to guide the League, through the years of World War I and the 1918 flu epidemic, which took the lives of 3,266 Hoosiers. 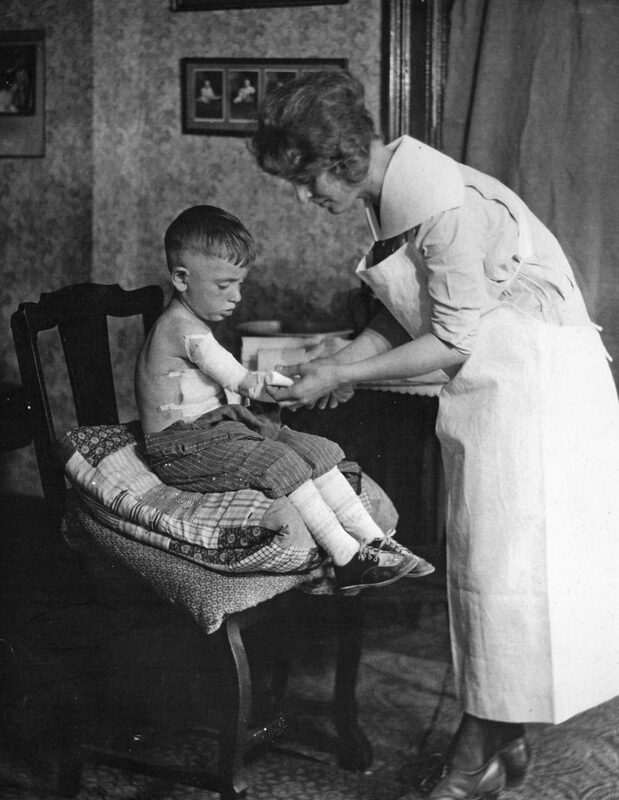 Nurse treating a young burn victim, image courtesy of Visiting Nurse Archives. By 1919, a nurse named Dixon had reached a salary of $100.00 a month. League expenditures in 1920 stood at $1,300 annually and in 1922 the Community Chest offered its support. Insurance companies began to hire nurses from local visiting nurse groups to assess policyholders who were ill, and paid the League seventy-five cents a visit. By 1923, the League reorganized and served in an advisory, instructional health teaching capacity. The Great Depression wrought poor health conditions: eight nurses made over 29,000 visits to 4,477 patients. One made 3,255 orthopedic visits to 104 crippled children, many of whom were victims of polio. Sisters of Saint Joseph Hospital provided free hospitalization in the pediatric ward for those who could not pay. In the 1940s, World War II increased demands for nursing schools to produce eligible Nurse Corps candidates. 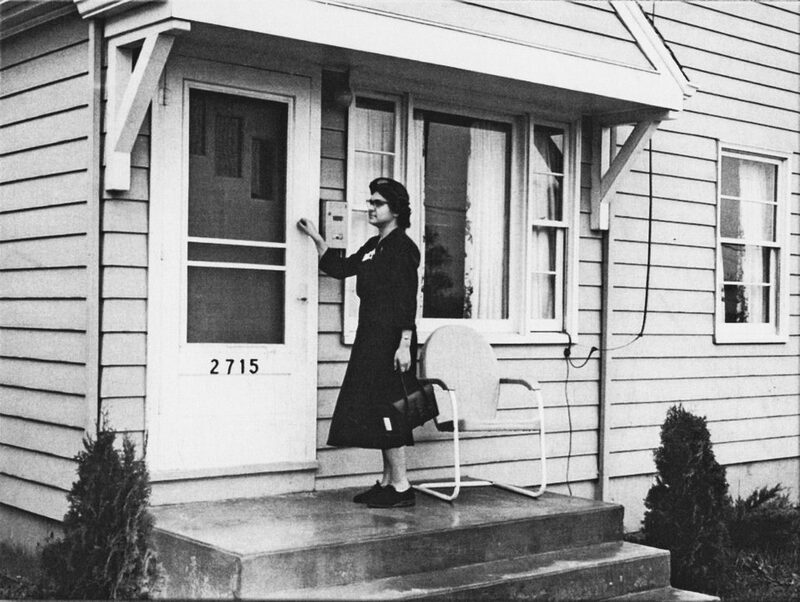 In 1954, the agency changed its name to Visiting Nurse Service, Inc. By 1956, it undertook a program that cared for stroke victims in their homes, which served to collect data on medication, exercise, loss of function and the need for expanded therapy service. By 1962, the agency’s director Eva Rosser introduced a State Board of Health-funded program that focused on treating the chronically ill in their homes, instead of a hospital or nursing home. Later the group provided care as home health aides and the agency became certified for Medicare on July 1966. Nurse visiting a patient, likely just after World War II, image courtesy of Visiting Nurse Archives. With certification came additional paper work. According to History of Visiting Nurse, by 1983, “a record number of visits for a single month occurred (2,200), due to earlier hospital releases and greater technology used in the home.” During this period, the glucometer was used for the first time, registered nurses were trained to perform phlebotomy services, and around-the-clock care was made available for all patients. In 1984, Medicare Hospice Benefit became available and Visiting Nurse Service merged with Hospice of Fort Wayne, Parkview, and Lutheran Hospices. The agency introduced computerized billing and, by the end of the decade, services for the frail and disabled. By 1990, Hospice service visits totaled 38,177, a forty percent increase over previous months. History of Visiting Nurse noted that in 1990 the agency moved to the “Moellering Unit of the nearly vacant former Lutheran Hospital.” In 1995, the 1984 merger dissolved and Visiting Nurse Service and Hospice became a free standing agency. By February 2001, a new Hospice Home facility opened and in 2006 a building expansion added patient rooms. In 2011, nurse practitioners joined the staff and the “Watchful Passage” program began, in which trained volunteers remained at patient’s bedside during the last few days of life. In 2018, Visiting Nurse staff and volunteers can proudly stand tall celebrating 130 years of community service. 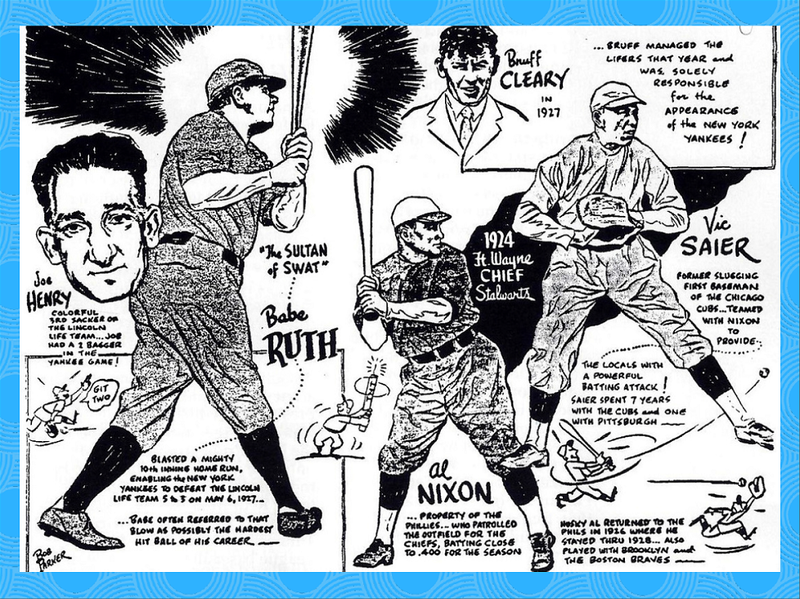 Bob Parker “cartoon” illustrating Babe Ruth blasting “a mighty 10th inning,” Michael C. Hawfield, Fort Wayne Sports Yesterday & Today (1994), p.18. Legendary baseball player George “Babe” Ruth graced Fort Wayne with his presence during a personal visit on October 26, 1926. After putting on a show during at practice, he joined the Fort Wayne Lincoln Lifers, a semiprofessional team sponsored by Lincoln National Life Insurance Co., in a game against a very good Kips team. Ruth proceeded to put on a demonstration by playing every position except catcher. He topped the game off by hitting two balls out of the park. With the Bambino in their arsenal, the Lifers won 11 to 1. 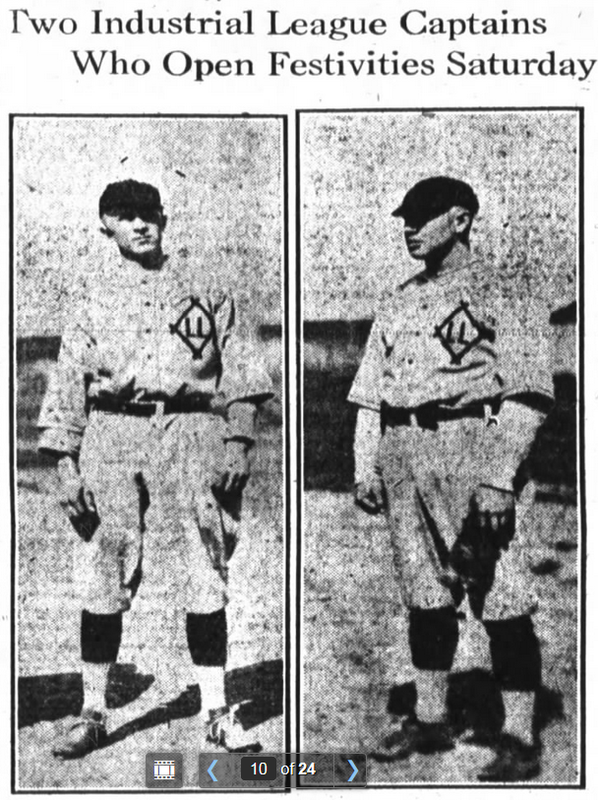 Lincoln Lifers “Pete” Dietrich and “Bud” Devilbiss, The Fort Wayne Sentinel, May 10, 1923, 10, accessed Newspapers.com. Ruth returned to the Indiana town on May 6, 1927 with the New York Yankees to play an exhibition game against the Lifers. In his Fort Wayne Sports History, Blake Sebring wrote that the Yankees, who were in first place in the league, made the stop on their way to take on Chicago. The game took place at League Park, now called Headwaters Park, located between Calhoun and Clinton streets. A wooden structure was erected at the park in 1883. 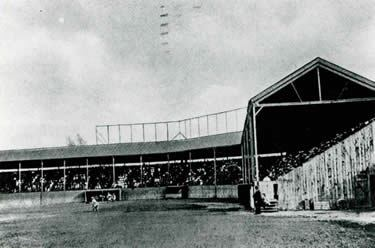 Rebuilt several times, the place received a major overhaul in 1908 with new grandstands and a grass infield. After the damage caused by the Great Flood of 1913, additional restoration was required. It was readied as a host park for semi-pro Central League teams, including the Lifers when they moved up to a minor league status. That 1927 exhibition season, League Park’s grandstand was filled with more than 3,000 fans, occupying all sitting and standing room. Enthusiastic Fort Wayne fans streamed in, eager to witness high drama from Babe Ruth, Lou Gehrig and the other Yankee legends. The fans were not disappointed, as they sensed Babe’s charge into the annals of American history. League Park, courtesy of ARCH Fort Wayne. The regulation 9 innings were played. The Lifers held the Yankees to a 3–3 tie in the 10th, with two out and a runner on first when “The Sultan of Swat,” another of Ruth’s appellations, came to the plate. He took two strikes and then in classic style belted the next pitch over the center field wall, landing on the roof of one of the city utility barns across Clinton Street. The hit enable the Yankees to defeat the Lifers 5-3. The stands emptied and adoring fans mobbed Babe. 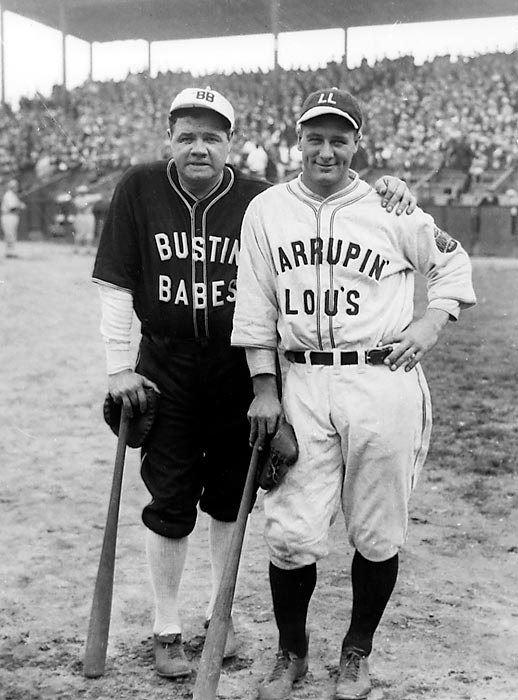 Babe Ruth and Lou Gehrig in their 1927 barnstorming uniforms, courtesy of Sports Illustrated, accessed The Midwest League Traveler. It has been said that the Bambino often referred to that blow as possibly the hardest hit ball of his career. According to John Ankenbruck, after citing the official long hits by Babe Ruth and Mickey Mantle, one sportswriter declared that, Ruth hit a longer one in Fort Wayne, according to the Bambino’s version. After the 1927 season, Ruth went on a barn storming tour, playing again at League Park. He belted a ball over the left-centerfield fence and claimed that the ball landed in a freight car that was passing the park at the time. Local baseball historians are quick to note that, if true, the ball would have had to clear the fence then make a right angle, travel another 600 feet to land on the railroad tracks. Even so, 1927 was a banner year for Fort Wayne baseball and Babe Ruth was on hand to help make it a big hit.